Monster Hunter 4, not unexpectedly, tops the charts. This week’s Media Create sales figures are in. Monster Hunter 4, just launched for 3DS this Saturday, is on top at 1.7 million sales—unsurprisingly. Following is the PlayStation 3 version of AKB1/149 Renai Sousenyko, also newly launched, which sold 27,000 copies. Idea Factory’s latest Brothers Conflict game for PSP, this time in Brillian Blue, came in third at over 15,000 sales. 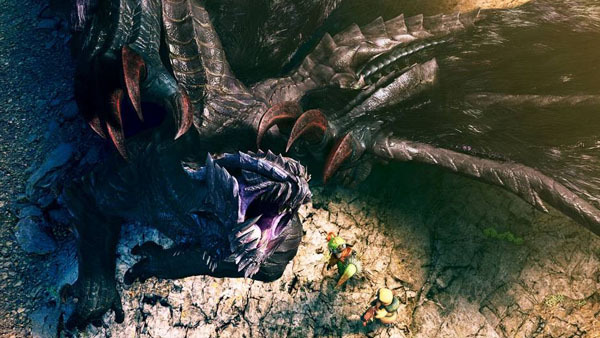 On the hardware side, Monster Hunter 4 gave 3DS sales a massive boost. The platform moved 276,000 units across its XL and standard SKUs. Last week, sales of both SKUs combined totaled at 79,000.